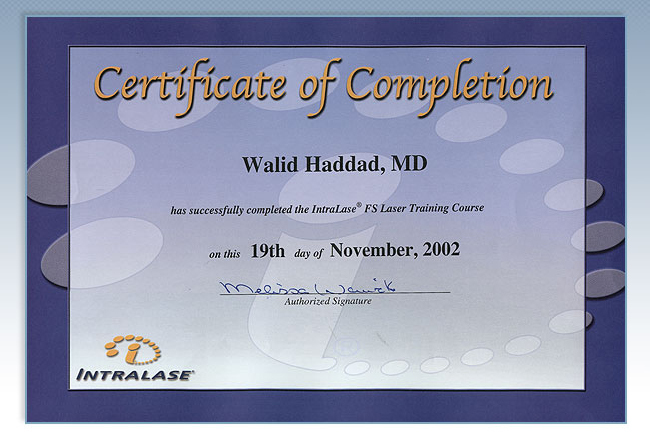 General eye surgeon and a specialist in LASIK and LASER surgery. 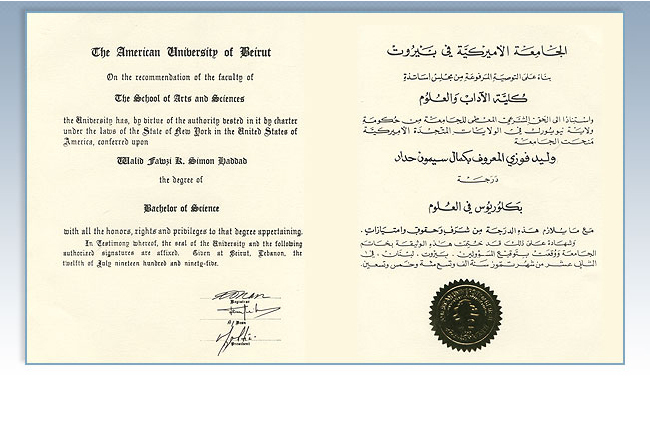 Following his Residency in Ophthalmology as a General Eye Surgeon at the American University of Beirut, he was chosen among hundreds of applicants to be a corneal Fellow /Junior Associate in one of the leading laser centers in the world. He was trained by pioneers in the field, and world-renowned surgeons who contribute constantly to the development of laser technology and LASIK surgery. He performed cutting edge research in the US, offering him several opportunities as a keynote speaker and lecturer, addressing thousands of doctors in the Annual Meetings for the American Academy of Ophthalmology. 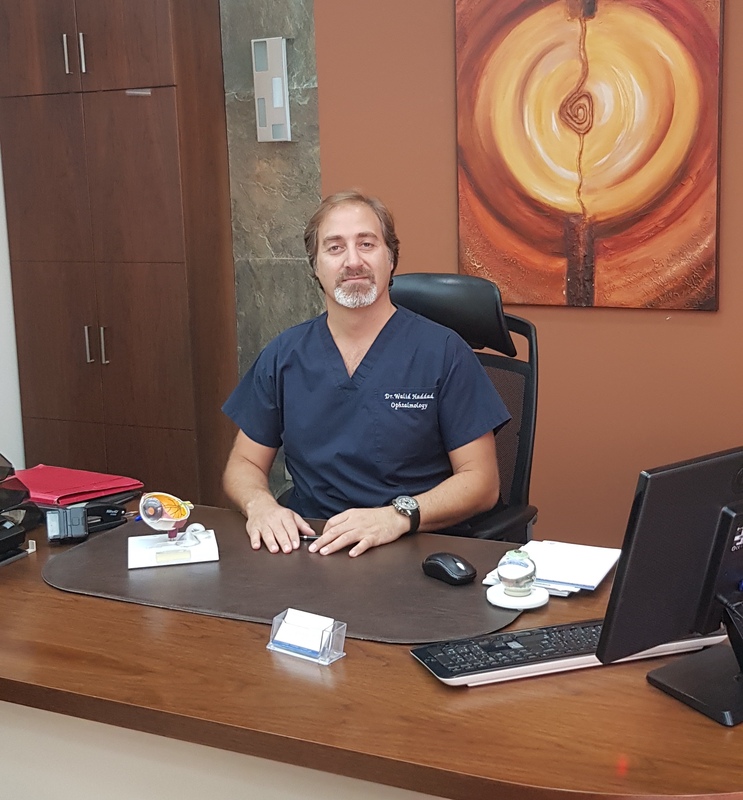 Dr. Haddad is actually one of very few surgeons in Lebanon who are certified to do LASIK on patients, and holds more than 8 different certificates for several types of LASIK/laser surgeries. 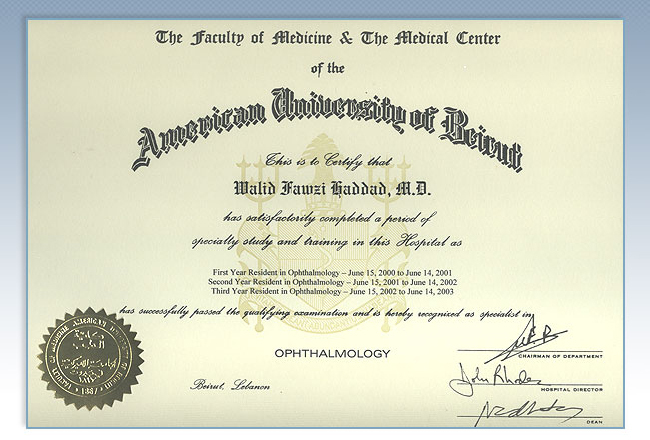 Dr. Haddad was also proficiently trained in new techniques for corneal transplantation with human amniotic membranes, challenging cases of micro- incision cataract surgery, and the new ring implants /UV crosslinking for Keratoconus patients. He is also one of few people who implant the new Artiflex, Artisan and ICL lenses to treat high Myopia/Astigmatism reaching 30 degrees and Hyperopia reaching 13 degrees which cannot be treated with the regular laser technology. 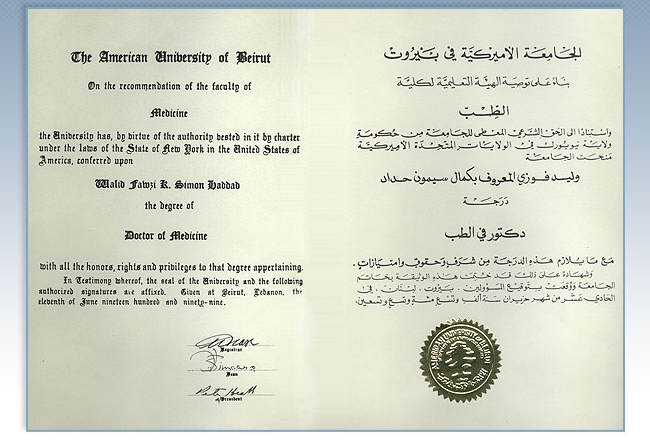 Dr. Haddad’s dedication to his patients is exceptional. 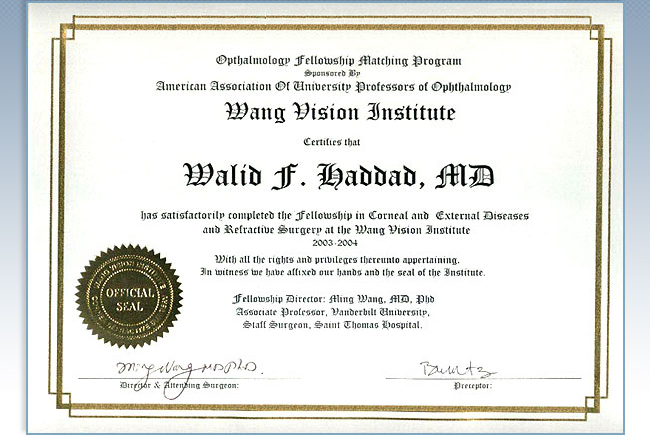 The determination and drive he holds for his career allows him to strive for higher education and knowledge of the latest updates, thus offering the best in eye care for his patients. 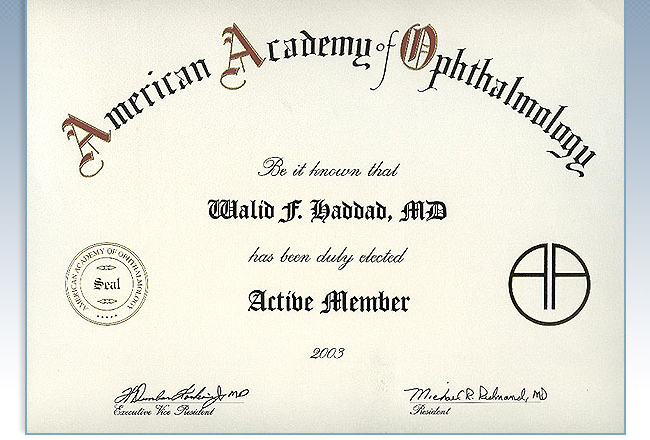 Dr Haddad is a member of the Lebanese Order of Physicians, Lebanese Ophthalmic Society, American Academy of Ophthalmology and the French Society of Ophthalmology. Division of Cornea and Refractive Surgery. 1- Biology Bachelor of Science. B.S. 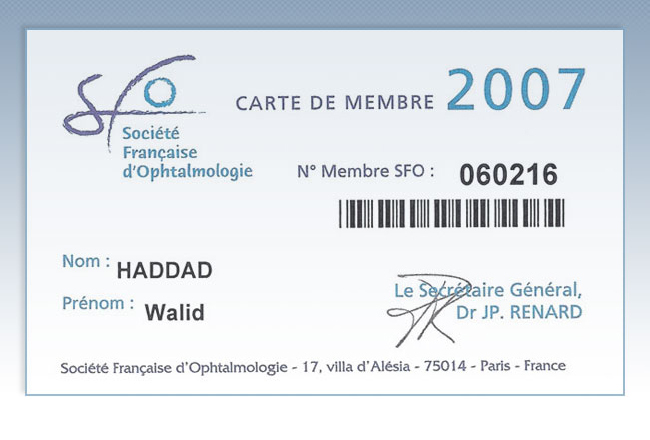 4- Specialist: Corneal and Refractive Surgeon. 7- Certified for Wavefront-Guided Laser treatment on the VISX Custom-Vue system. 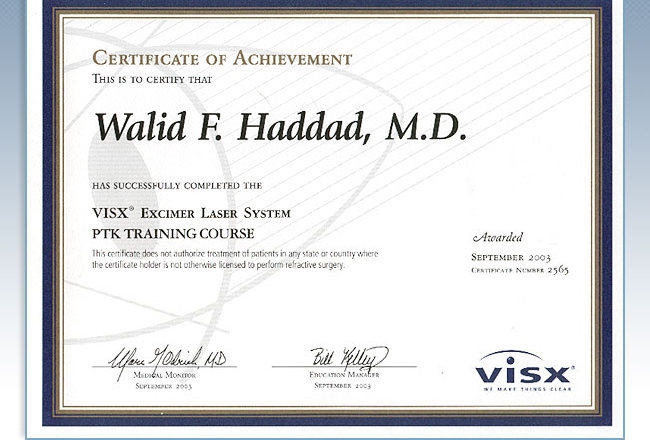 8- Certified on the NIDEK excimer laser system for LASIK and PRK, PTK, LASEK. 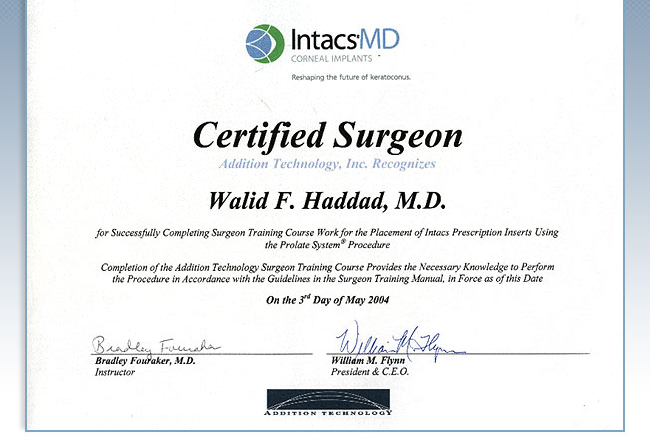 11- Certified for INTACS and KERARING corneal surgery for myopia,keratoconus and ectasia. 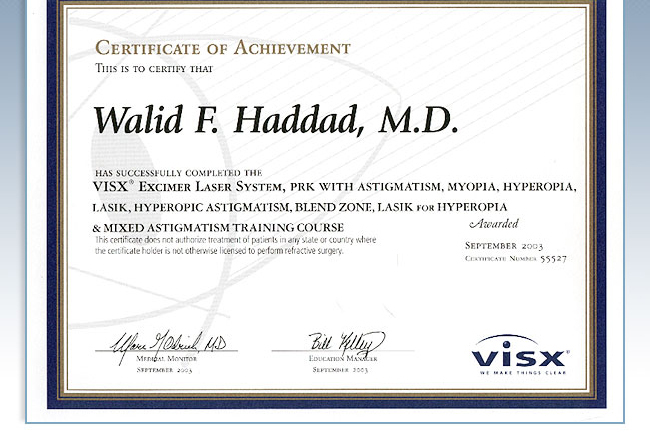 12- Certified for the insertion of Artisan/ Artiflex / STAAR ICL/ Phakic 6 lenses for high myopia. 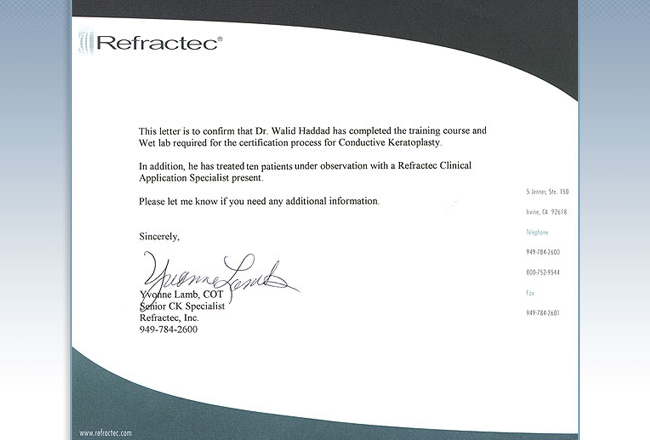 13- Certified for the CK Conductive Keratoplasty System by Refractec for hyperopia/presbyopia. 14- Certified for performing UV Crosslinking to strengthen corneas in Keratoconus patients. Percent Rank By PGY Level: 95th percentile. 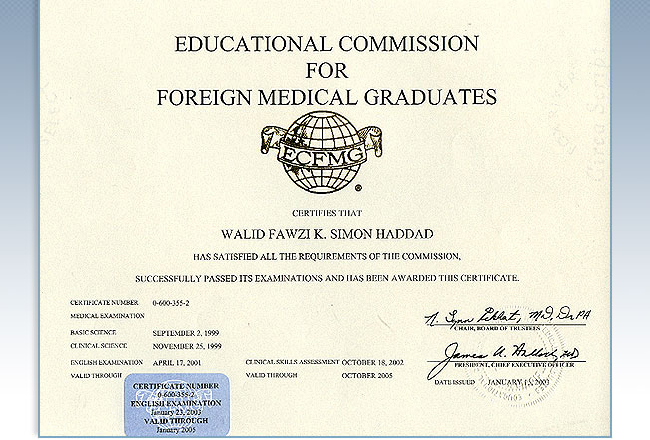 surgeon and provides critical peer-review sections based on recent clinical studies. Founder and Associate Editor of eyeweb.org. Founder and Associate Editor of eyesoftware.net. the IOL calculator, Strabismus Calculator, Laser Companion?.. 2. Farah NT, Haddad WF. The Differential Diagnosis of Crystals in the Retina. 5. Dany M. Najjar, Shady T. Awwad, Wadih Zein, Walid Haddad. Assessment of the corneal endothelium in acute Ultraviolet Keratitis. Med Sci Monit 2006 Apr 25;12 (5) :23-25. Penetrating Keratoplasty. Eye Contact Lens 2004;30(3):169-172. 8. Haddad WF, Khoury JF. LASIK for high myopic astigmatism resulting from perforating ocular injury. Journal of Refractive Surgery 2005 Nov Dec;21(6):756-9. 9. Mansour AM, Chan CC, Crawford MA, Tabbara ZA, Shen D, Haddad WF, Salti I, Ghazi ND. Virus- Induced chalazion. Eye. 2006 Feb; 20(2):242-6. 7. Haddad WF, Awwad ST, Najjar D, Zein TW. Endotheliitis Secondary to UV keratitis. 8. Haddad WF, Khoury JF. Standard non-customized LASIK for treating high astigmatism after perforating ocular injuries. 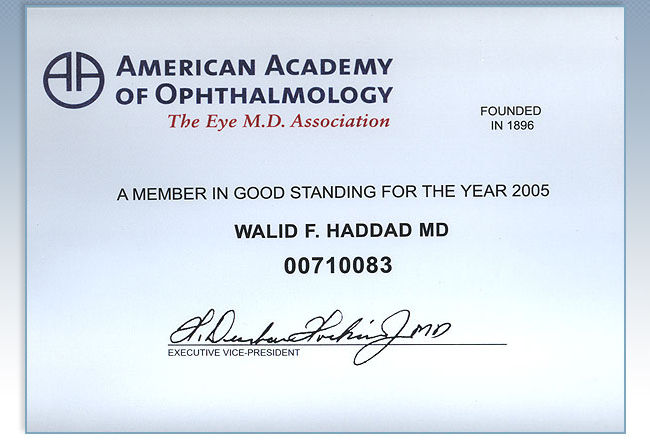 Accepted in Journal of Cataract and Refractive Surgery” in March 2005. 9. Mansour AM, Chan CC, Crawford MA, Tabbara ZA, Shen D, Haddad WF, Salti I, Ghazi ND. Virus- Induced chalazion. 1. Haddad WF, Wang MX. Wavefront Technology ; Past , present and future. (Submitted to the “Survey of Ophthalmology” in Dec 06.
corneal astigmatism. (Submitted to the Journal of Cataract and Refractive Surgery Feb 06). 4. Mansour AM, Haddad WF. Treatment of diabetic papillopathy with subconjunctival steroids. using the Nidek EC 5000 NAVEX platform. (Prospective study in progress)..
7- Effect of corneal croslinking with and without intrastromal segments in corneas of patients with keratoconus.